In many Western Christian churches, including most Catholic and Lutheran parishes, today marks the second Sunday of Advent. On this day, a second candle on an Advent wreath is lit. The purple candle is called the “Bethlehem Candle,” demonstrates Faith, and reminds us of Mary and Joseph’s treacherous journey to Bethlehem. The word “advent” comes from the Latin word that means “coming.” During Advent, Christians patiently await the coming of their Savior, Jesus Christ. An Advent wreath is made up of various evergreens, representing continuous life, as well as four candles that symbolize the four weeks of Advent. Legend has it that the four candles and the four weeks each represent 1,000 years and together total the 4,000 years between Adam and Eve and Jesus’ birth. Three candles on the wreath are purple and one is pink. They signify Christ being the light of the world and the contrast between darkness and light. On the first Sunday of Advent, which begins the season of Advent four weeks out from Christmas, a purple “Prophet’s Candle” is lit as we focus on Hope and Jesus’ coming. 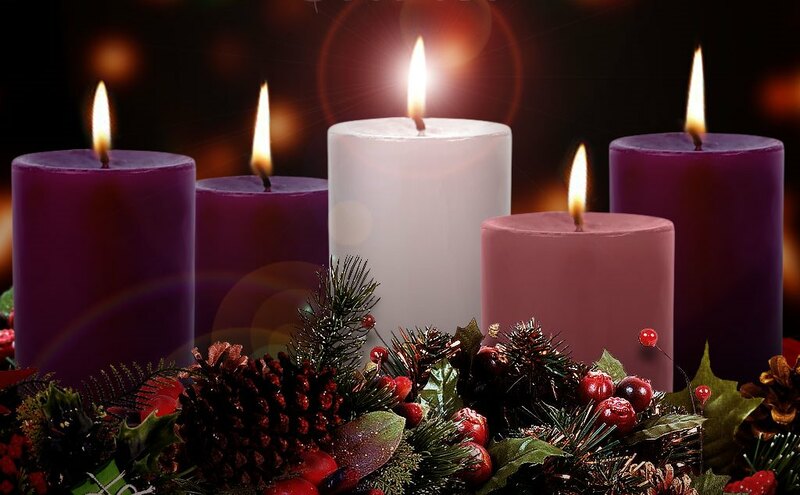 Today’s purple candle will be followed by next Sunday’s pink “Shepherd’s Candle” reminding us of Joy and the birth of Jesus. On the last Sunday of Advent, the “Angel’s Candle” of Peace is lit. Some Advent wreaths also add a fifth white “Christ Candle” is the middle, which is lit on Christmas. Advent officially ends on Christmas Eve. Growing up my family didn’t really celebrate Advent and my childhood home never had an Advent wreath or the other popular item, an Advent calendar. We basically had Jesus and Santa. Scripture: Jesus asks us to prepare the way for his second coming and to repent. Santa: Santa keeps a “naughty and nice” list. Scripture: We are asked to listen to the Word and to be attentive. Santa: Santa listens to each child as they sit on his lap and write him letters. From there, we were asked to apply all of these to our daily lives. I immediately thought of yet another comparison, that of St. Nicholas and Santa. 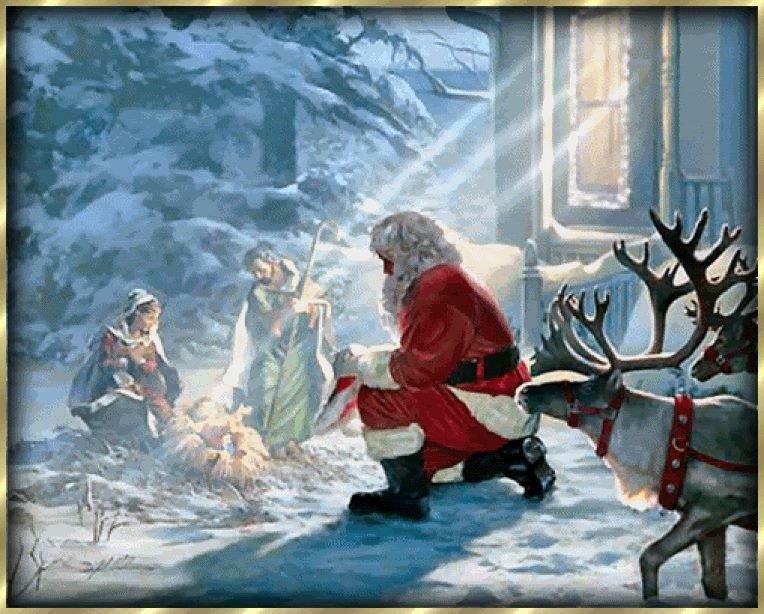 Considered the “first Santa” by Catholics, good ole St. Nick wore a red coat like Santa, had a beard, and loved to share and give. He’s also mentioned in the classic “The Night Before Christmas.” Who knew?! A very rich and generous man, St. Nicholas heard about a family that didn’t have enough money to buy food so he snuck onto their roof and threw some gold coins down their chimney. The coins landed in their stockings, which were hanging over the fire to dry. This, my friends, is why we hang stockings on fireplaces and put treats in them! And why do we give presents? 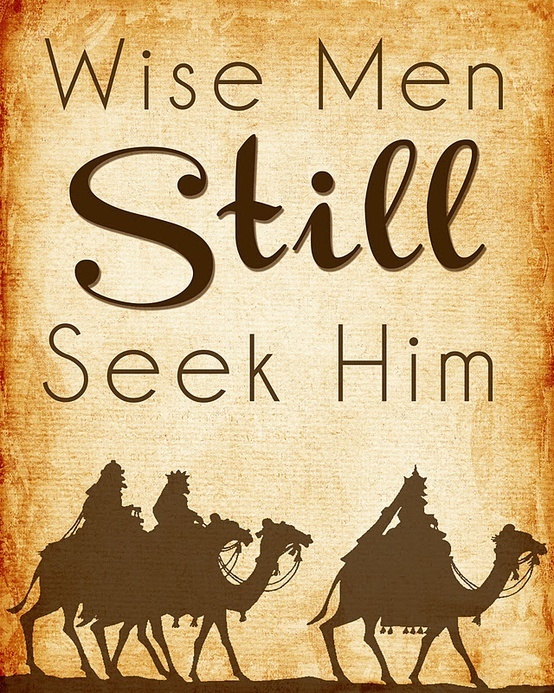 Well, think of the 3 Kings. 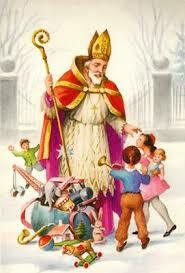 They brought gifts to the infant King and by giving to others, we model their generous act. Our daughter Kristen only gets three presents at Christmas, which has been our family tradition all her life. If three gifts were good enough for Jesus, they are certainly good enough for the rest of us! All of these things explain some age-old traditions and also demonstrate the true meaning of Christmas. It breaks my heart to see the real reason for the season become increasingly “offensive” and secular, and my hope is that by sitting back and understanding exactly why we have days off in December and why stores love this time of the year, we will realize that there is so much more to it all than just time off, shopping, and Santa. I have hope.